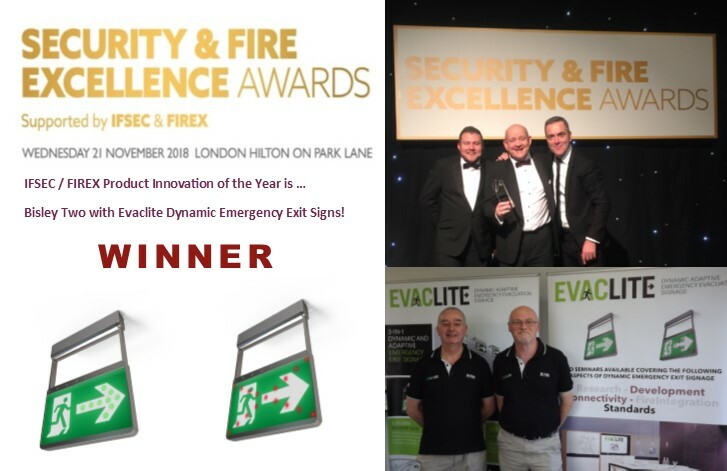 The Evaclite product team at TWO, are thrilled to announce that we have won Product Innovation of the Year at the prestigious Security and Fire Excellence Awards 2018. Our range of dynamic and adaptive emergency exit signs have been recognised by the industry for its innovative solution in improving evacuations. We would like to thank Firex and IFSEC, the organisers, for the acknowledgement of our product. 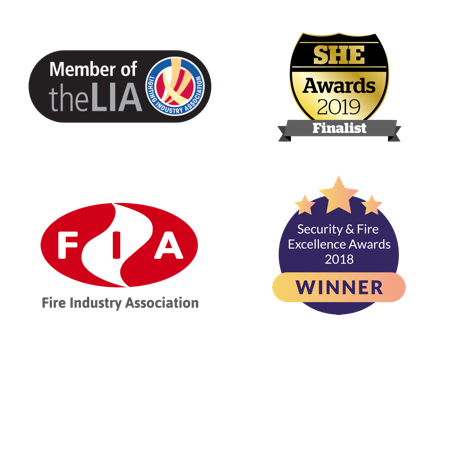 The 20th Security and Fire Excellence Awards took place at the Hilton Hotel, Park Lane in London on Wednesday 21st November 2018. The evening of the awards truly gave the recognition that finalists deserved. It highlighted the talent within the businesses, projects and people in the security and fire industry. EvacLite’ dynamic signs have been proven to facilitate a faster and safer evacuation in comparison to a standard passive exit sign. The signs attract the eye and provide a dynamic pulsing array of light within the emergency luminaire. Being intuitive the signs are easily understood by all languages. Evaclite the brighter way to escape. About Two, a Bisley company. Two is the innovative arm of Bisley, the British storage specialist. Our vision is to improve our business environment through technology. Bisley designs and provides high-quality, reliable furniture for every working environment. Two, technology at work, provides high-quality innovative portfolios of technologies. We believe all our investments are innovative, reliable and practical.